I drove from San Diego to Tempe to visit Changing Hands because I’d been invited to read there and also because people kept telling me it’s one of those bookstores that can’t be missed. 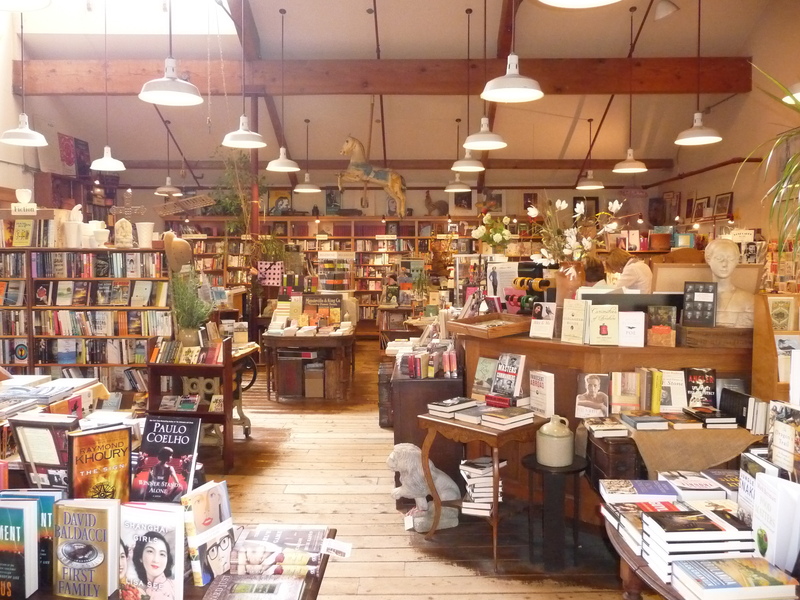 Changing Hands is one of the most highly regarded indies in the country. 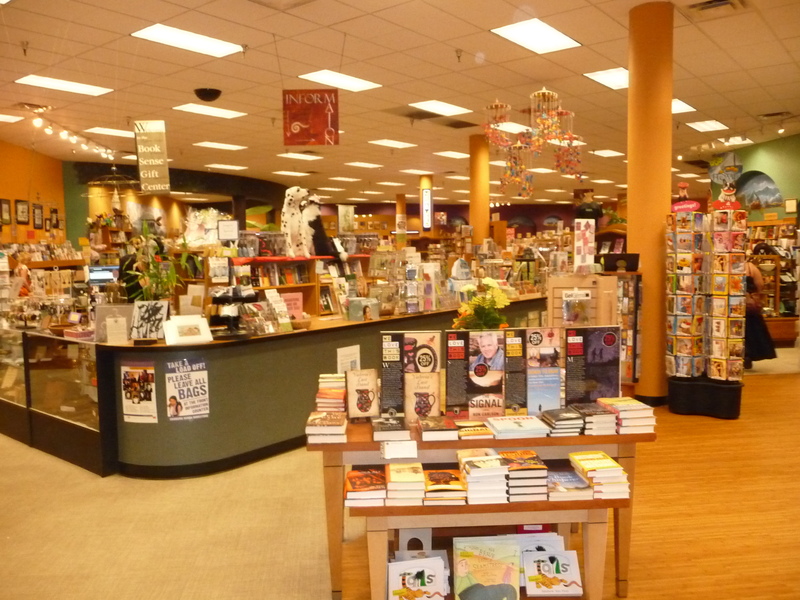 35 years in the bookselling business, Changing Hands is a large independent store in a strip mall that rivals the chains for size. They sell new, used, remaindered, and consignment books here. 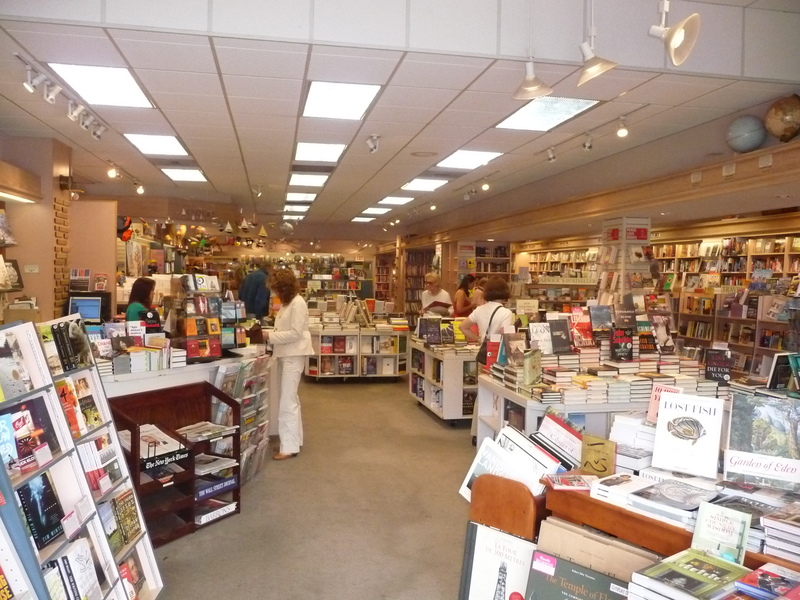 The store is spacious with friendly knowledgeable staff and a smart selection of books. They work closely with their community, host a community movie night and CLUB READ — A children’s book club. In fact, the children’s section is very large at Changing Hands. Staff is encouraged to make selections and those are placed prominently in the store. There’s also a book club wall. At this point in the trip, I’d been on the road for about eight weeks straight. 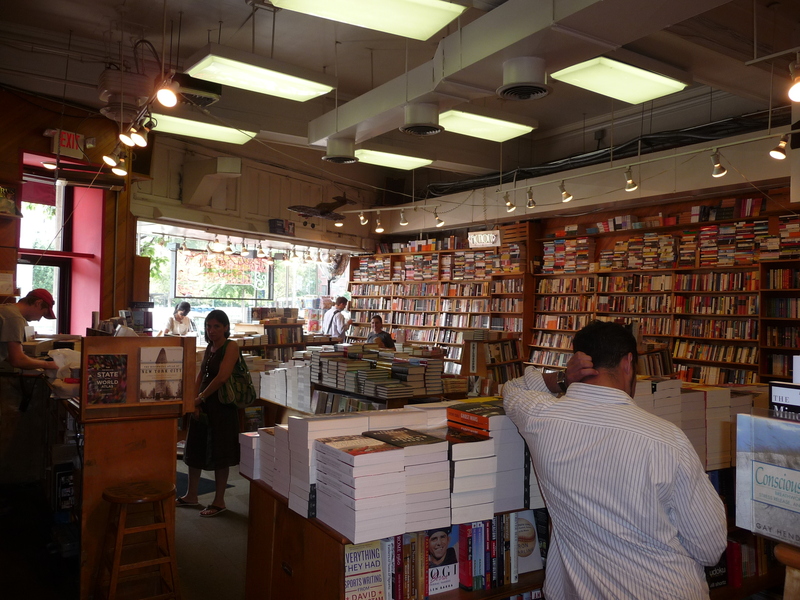 I’ve already learned a lot about what makes a bookstore work, and I feel like i’ve developed a sixth sense about them. I feel like I can walk in to a store and immedietly know if it’s working well. It’s because the best stores like Changing Hands are doing way more than selling books. For one thing, the best stores diversify their inventory. Sidelines, used books, coffee. Southern California is gorgeous! The weather is perfect. The people are pretty. It feels like a place with a lot of spare time and money. It’s only fitting that any local indie is just as gorgeous. Check these photos out! 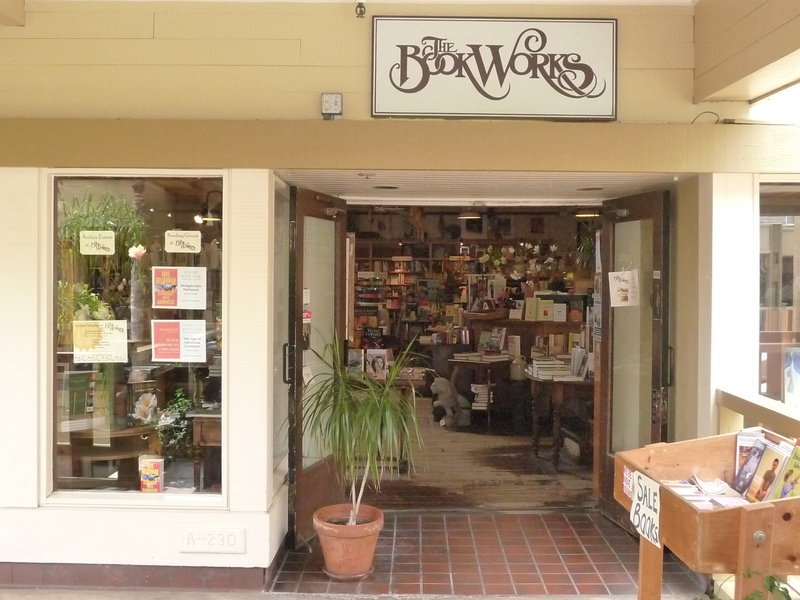 The Book Works is a fun store in Del Mar with a great location. The Salk Institute is nearby. UCSD is also. It’s a book store in a high traffic area in an outdoor mall (The Flower Hill Promenade). It couldn’t have a better location. There are restaurants around. There are boutiques. Right next door is a popular cafe. 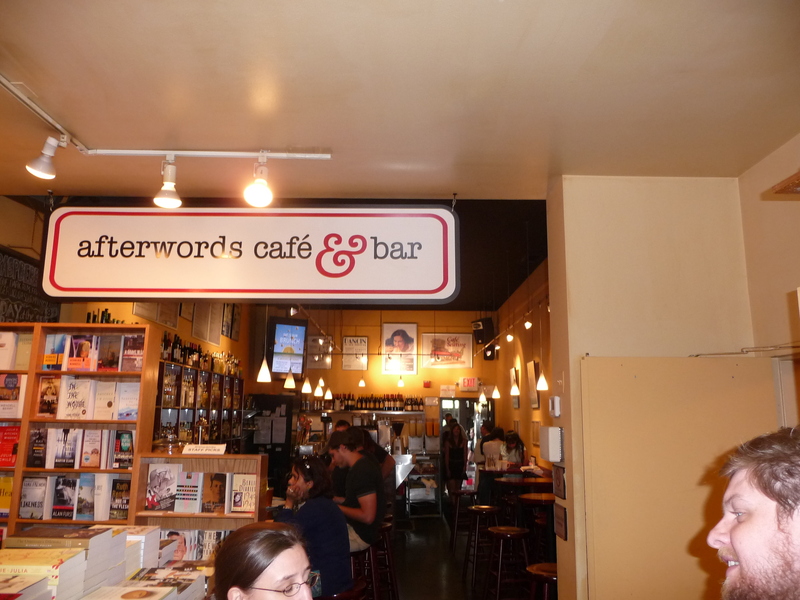 I can’t believe how many times I’ve seen this relationship now: book stores PARTNERING with cafes. The best arrangement seems to be when two distinct companies share space. And as far as community building, get a load of this: The Book Works partners with local public radio to host fundraisers on behalf of a news desk that covers culture and imagination. Finally, The Book Works also presents Spring and Fall lists to book groups. A lot of sold work is going on in this very handsome-looking store. They also have a great selection of sidelines, including antique jewelry. Twenty minutes from San Diego is a great seaside town called La Jolla. And downtown on the main strip, in the middle of everything, is Warwick’s — a store for books, stationery, gifts, and office supplies. This is a family owned store — four generations in the making. 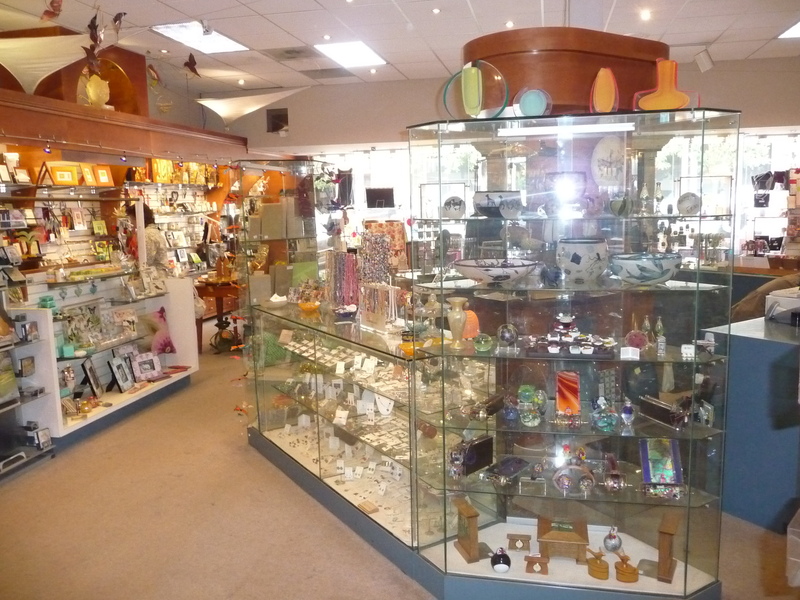 Like Vroman’s it is a store that opened in the nineteenth century. 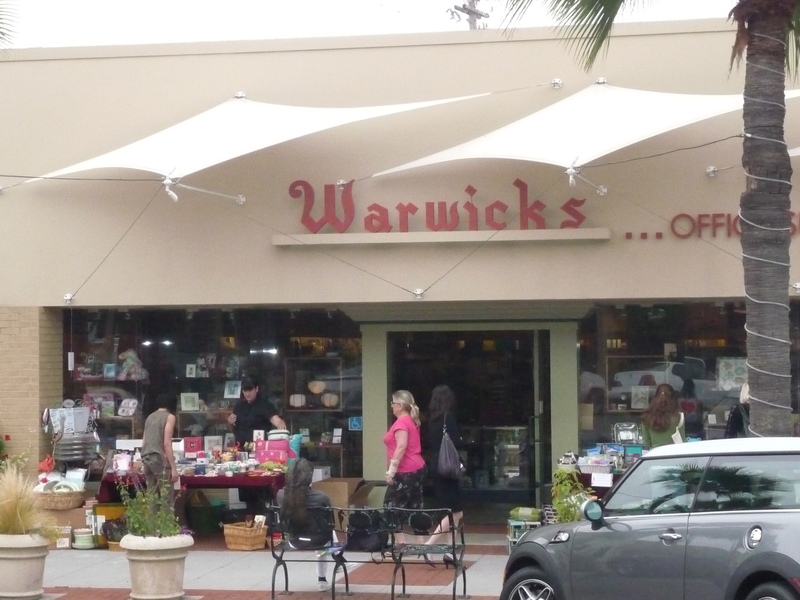 And there’s another similarity to Vroman’s in that Warwick’s is a local icon, an indelible part of the surrounding community. They sponsor a lot of events at Warwick’s and have strong customer service. It is an affluent community of supportive readers. Warwick’s has a cooking club, partnering with a local restaurant, where they host food-themed events. There are also a lot of active reading groups and every spring and autumn, they host a book club night where booksellers and sales reps talk about forthcoming books. It’s a lovely town with a venerable book store. Well worth a visit if you’re in the area. Surprisingly enough, this week’s highlights are mostly focused on new nonfiction dealing with intriguing political and psychological issues. Events: The Henry Miller Library will be showing the film “Chavez: The Revolution Will Not Be Televised”, presented by producer Rod Stoneman on Wednesday, September 30th, at 7:30. Before and after the screening, Stoneman will be available to discuss the issues of objectivity in the media presented in both the film and his book by the same name. Screening is free; donations are appreciated. New Literature: Carl Jung’s The Red Book, a frightening exploration into the subconscious written 40 years ago, is only just now being published. A $195 visual masterpiece, this may be one of the most important books in the history of psychology, a “story about genius and madness…possession and obsession.” While fascinating to some and uselessly creepy to others, this book is bound to be interesting. Read the ten-page New York Times article here (via Newtonvile Books Blog). Timothy Egan’s The Big Burn: Teddy Roosevelt & the Fire That Saved America is one of the rare historical novels that is a true page-turner. Egan, the author of The Worst Hard Times, about the American dustbowl, is a specialist in American history and a winner of the National Book Award. This book about the raging forest fire that ravaged more than three million acres in only two days focuses on Teddy Roosevelt and Gifford Pinchot, the first head of the National Forest Service. This is a powerful novel about conservationism, sustainability, and other important environmental issues that remain today (Broadway Bookbroads). Other: Newtonville Books posted a very entertaining interview with Lev Grossman, author of the hit adult fantasy recently mentioned in the Monday Morsels, The Magicians. You can now vote for the winner of the National Book Award and have the chance to win tickets to the National Book Award ceremony and a stay at the Marriott Hotel! Vote between The Stories of John Cheever, Invisible Man, The Collected Stories of William Faulkner, The Complete Stories by Flannery O’Connor, Gravity’s Rainbow, and The Collected Stories of Eudora Welty (Newtonvile Books Blog and Powell’s Book Blog). Twitter got a 28-year-old man who still lived at home a book deal due to the popularity of his blog on his father’s amusing sayings (via Powell’s Book Blog). Apparently blogging really can pay off…who knew! This is the largest and oldest bookstore in Southern California, and by largest I mean nearly Powell’s large, and by oldest I mean it opened its doors in 1894. The folks at Skylight Books in L.A. turned me on to it. In fact, they insisted I drive the thirty minutes to Pasadena. Well, they did me a favor. Vroman’s just about floored me when I drove past, parked, and walked in. 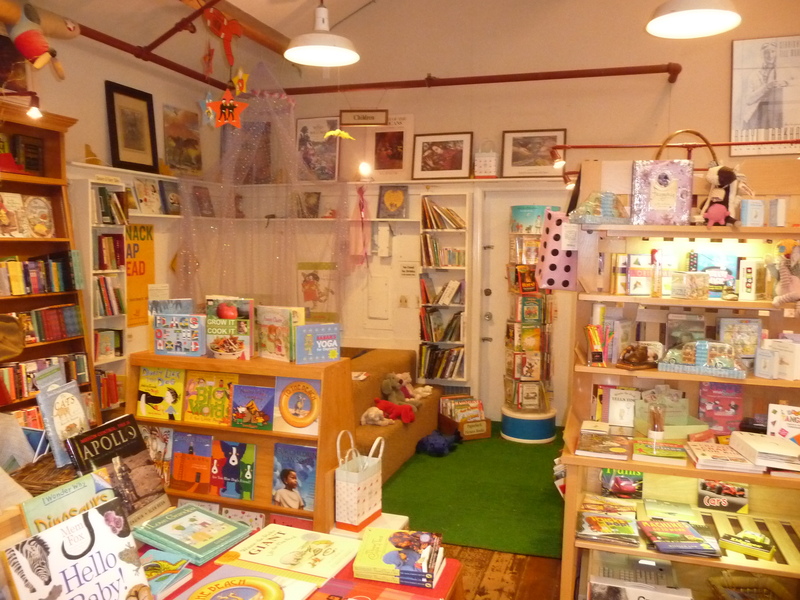 It sits smack dab in the middle of downtown Pasadena, with a cafe, and a newsstand, and an annex for nothing but sidelines, and two floors of books, and ceramic animals, and customers, and a dedicated event section, and a kids section, and did I mention customers? 30,000 square feet. Three locations in Pasadena. 30% of sales come from their sideline business. That’s not only Bananagrams. They actually sell wedding invitations here and have been fulfilling orders for over 100 years! Vroman’s oldest customer is a woman who is ninety and who comes in every day. She has been shopping here since she was five. This store is what the strongest indies should strive for: it’s a constant in the life of the community. In fact, Vroman’s gives back to that community with donations to organizations that their customers choose. And with 124 employees over three stores, this is one of the biggest employers I’ve visited. They host 350 events a year, including a summer series and a summer edge series that features Jazz on Sundays and has become a destination spot for the Pasadena residents. Employees can take part in enrichment, and customers can take part in profit sharing. You know, I think this is a store that illustrates what happens over time when a store’s identity is meshed into the life of the surrounding community. These guys should be presenting panels at book seller’s conferences around the country. This is a great store in Los Feliz, an East L.A. neighborhood near Griffith Park. It’s a hipster neighborhood with a lot of foot traffic, and it’s the kind of store that you can immediately tell is thriving. Again, I feel like I really sold L.A. and Southern California short. There are great bookstores here. At Skylight, there’s the main store — which is a general trade book store, and there is also a newer annex where they keep their art and film books. Sidelines are very fun, off-beat, and smartly selected. They are in a perfect spot — next to a brasserie, a pizza place, a theater, and across the street from the post office. Location, location, location! It so obviously matters. And the fact that they do a lot of cross promotion with their neighbors doesn’t hurt. Skylight hosts many events. There are reading salons, midnight release parties, tweet-up readings. It’s also a gorgeous looking store with nice lighting and a pleasant atmosphere. I hate being effusive, but I’ m really enjoying myself! I’ll have to spend a bit more time in L.A. The two stores I visited here are on the must visit list. Once again, new books take the spotlight as we bask in the aftereffects of what NPR called the “blockbuster week” of the literary world. Borders and Barnes and Noble have already had a heyday with the release of the new Dan Brown book and the announcement of Oprah Winfrey’s latest Book Club pick, but as usual, our favorite indie bookstores have some more unique news. Events: Chop Suey Books’ $2 Deal of the week is John Irving’s A Widow for One Year, the inspiration behind the film The Door in the Floor. Ruth Cole is the only remaining child after the death of her older brothers, an event which causes her father to turn to alcohol and her mother to fade away completely, leaving Ruth with a lonely and emotionally traumatizing childhood. The novel tells the tale of Ruth’s life in three sections in Irwing’s typical simultaneously sad and humorous style. The deal is available in both paperback and hardback and lasts until Thursday. If you’re into wildlife, particularly birds, be sure not to miss Lynda Haupt’s visit to Square One Books this Thursday, where she’ll be discussing her newest book “Crow Planet”. Lynda has a vast experience with wildlife around the country, from rehabilitating raptors to researching seabirds, but in the latest novel she focuses on what she learned about the behavior of crows in her neighborhood, with tidbits about the mysterious, almost otherworldly presence crows have had throughout history and mythology. New Literature: If you’ve heard all you can take about Dan Brown’s The Lost Symbol this week, never fear – So have we. 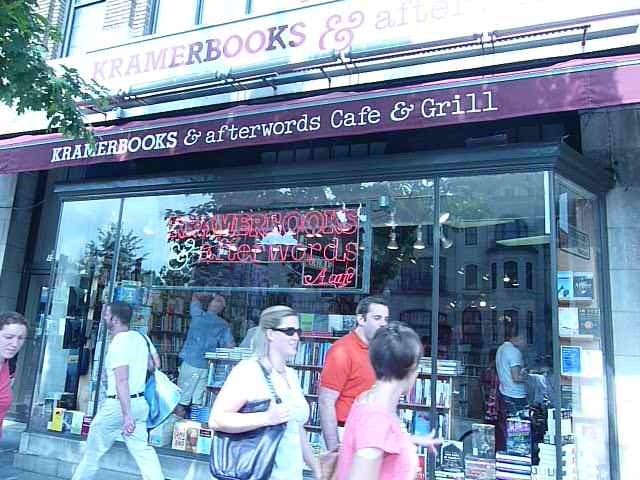 As the name suggests, indie bookstores enjoy a walk on the less beaten path, and our blogroll has a few alternatives. Green Apple Books has a few recommendations that promise to be just as thrilling as Dan Brown’s book. American Fantastic Tales is a collection of 86 classic American Gothic stories, with authors both old and new including Washington Irving, Edgar Allen Poe, F. Scott Fitzgerald, Ray Bradbury, Joyce Carol Oates, and many more. A new translation of Witold Gombrowicz’s Pornografia presents an amusing and exciting tale of “murder, sexual predation, intrigue, and lusty farmhands”. Lastly, Jerusalem by new Portuguese writer Gonçalo M. Tavares, due out October 20th, is an intriguing tale about the interconnected lives of strangers that explores the notions of fate. If you’ve had enough of action and just want to read some good nonfiction, Newtonville Books recommends NurtureShock by Po Bronson and Ashley Merryman: an eye-opening look at the way today’s children are raised that reveals “why our culture of excessive praise meant to encourage a child, actually hurts the child…how classic ways of encouraging truthfulness in children, only show them how to be better liars….that at elite gifted programs and private schools, admissions officers choose the wrong kids 73% of the time” (via Newtonville Books Blog). For short stories and more, Broadway Books just received the “Best American” series for 2009, which gives its readers the best of a variety of topics from essays, travel writing, sports writing, mystery stories, etc…There’s something here for everyone. They’re also edited by a variety of well-known authors. Read more at their Bookbroads. Other: As you’ve probably heard by now, Oprah made her 63rd Book Club pick: Say You’re One of Them by Nigerian writer Uwem Akpan. “It is the first short story collection she’s chosen, and Akpan is the first living African writer featured in her club” (via Newtonville Books Blog). Read about why NPR thinks that Dan Brown’s new book has saved the publishing industry here (via Powell’s Books Blog).